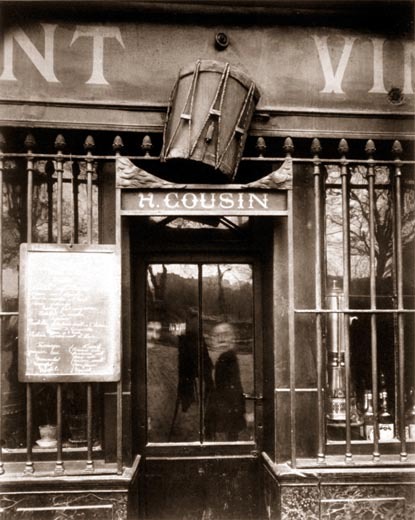 THE CITY OF PARIS has never been shy about celebrating the work of the great twentieth-century photographers who have lived and worked here. 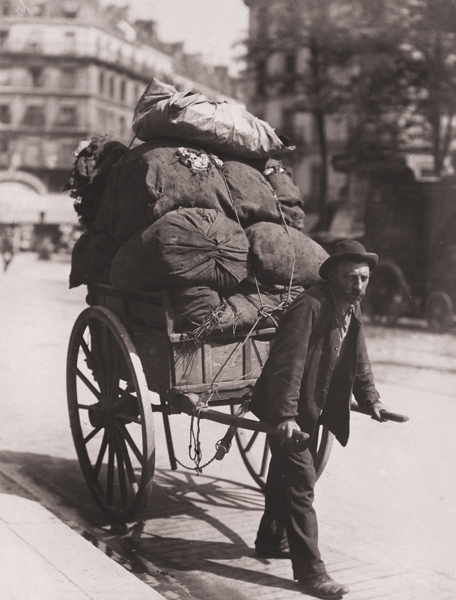 In 2012, the Hôtel de Ville hosted an exhibition of the work of Robert Doisneau entitled “Doisneau: Paris les Halles”. 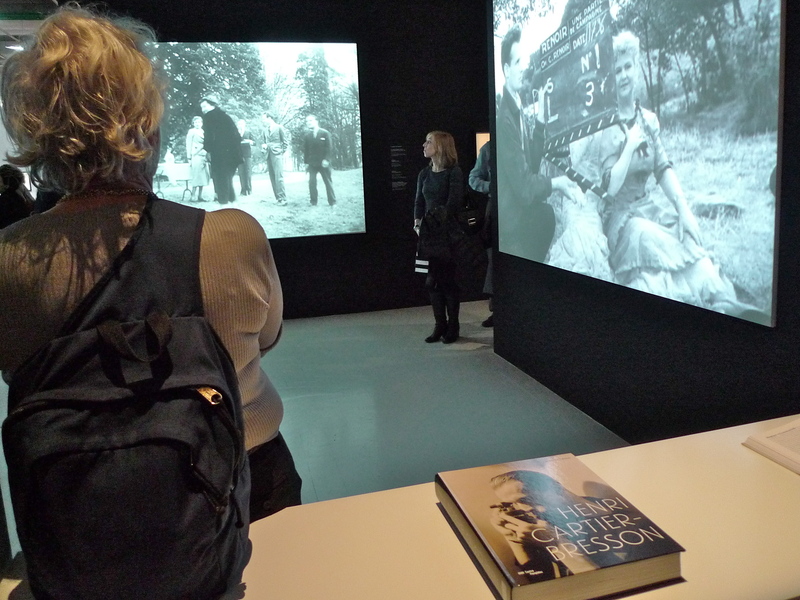 This exhibition included some two hundred photographs taken by Robert Doisneau over forty years of the quartier les Halles, the enormous food market once known as the ‘Belly of Paris’ and its subsequent transformation into the Forum des Halles. 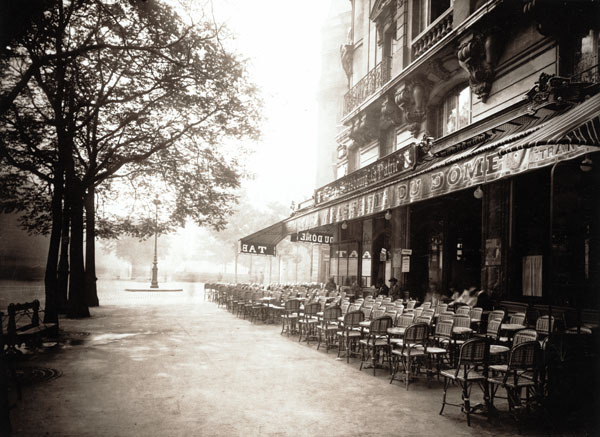 Had Robert Doisneau been alive today he would no doubt have continued to photograph the quartier les Halles as the Forum des Halles is being transformed once again. 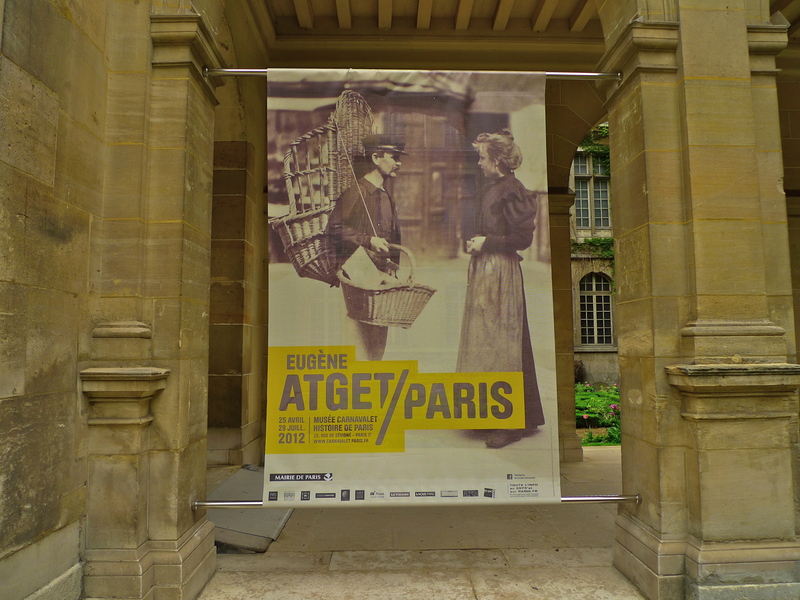 Currently, the Hôtel de Ville is staging another exhibition this time celebrating the work of the renowned photographer, Brassaï. 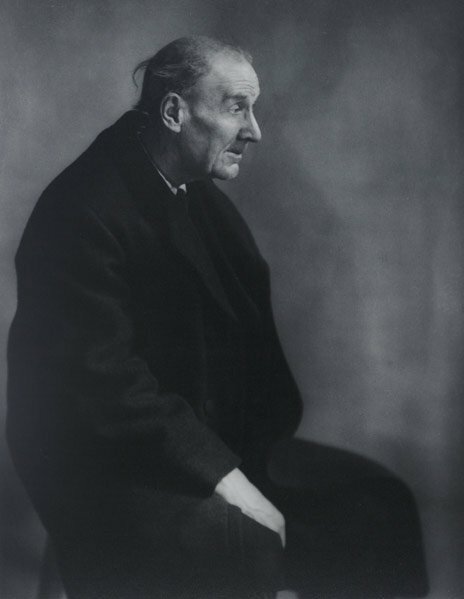 Although Gyula Halász (Brassaï was a pseudonym) was Hungarian, he lived in Paris from 1920 until his death in 1984. 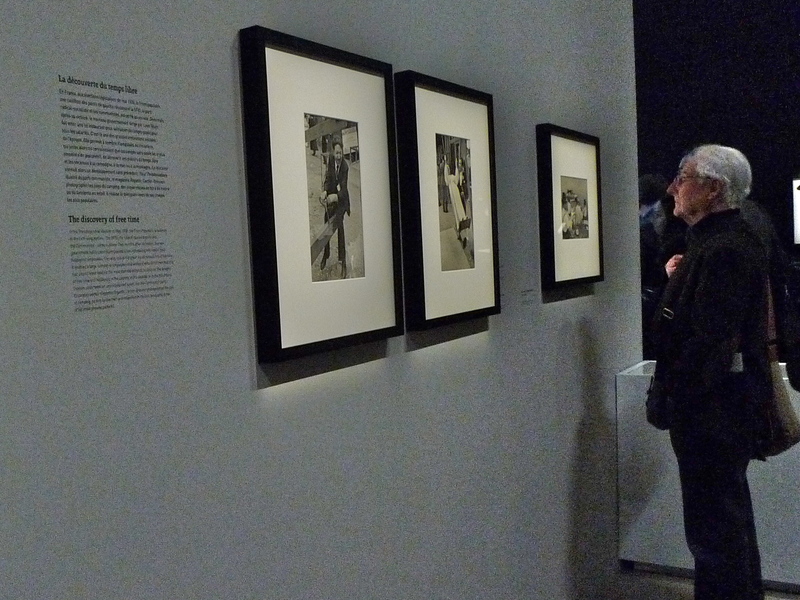 This exhibition, “Brassaï, Pour l’amour de Paris” or “Brassaï – For the Love of Paris”, recounts the extraordinary story of one man’s passion: that which united Brassaï with the nooks and crannies of the French capital but also with intellectuals, artists, large families and prostitutes – all those who have made Paris the mythical place it is. 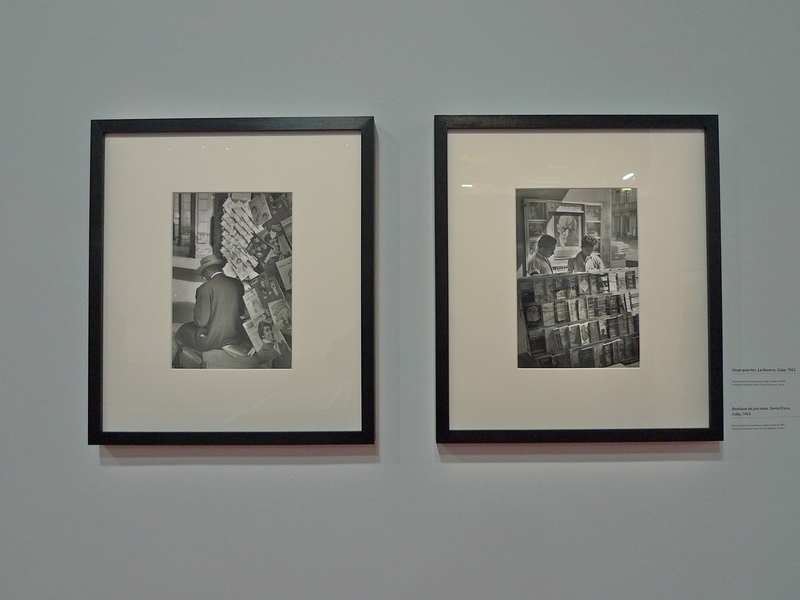 The Brassaï exhibition runs until 29th March. 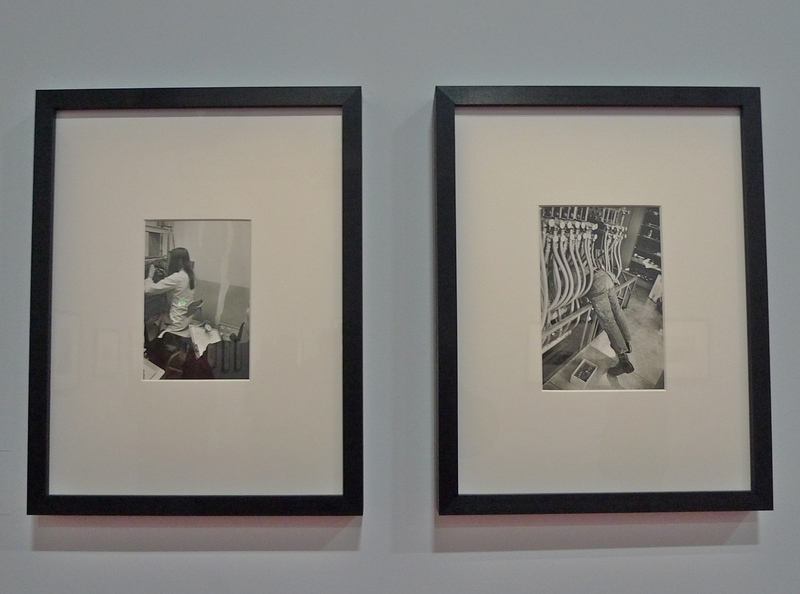 I went to the Doisneau exhibition in 2012 and to the Brassaï one earlier this year and I was captivated by them both. 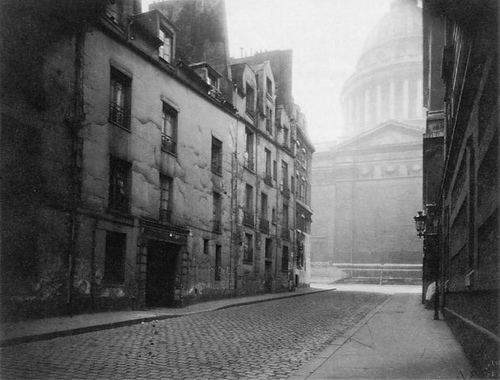 I make no secret of the fact that in the work I do recording the urban soundscapes of Paris I take enormous inspiration from the great twentieth-century Parisian street photographers. There are many similarities, both technically and artistically, between street photography and urban soundscape recording and I’ve learnt a lot from reading about these artists and studying their work. It’s not by accident that the strapline to this blog is a quote from Robert Doisneau – “Exploring that gratuitous, never-ending show for which no ticket is needed”, which was how he summed up his work. 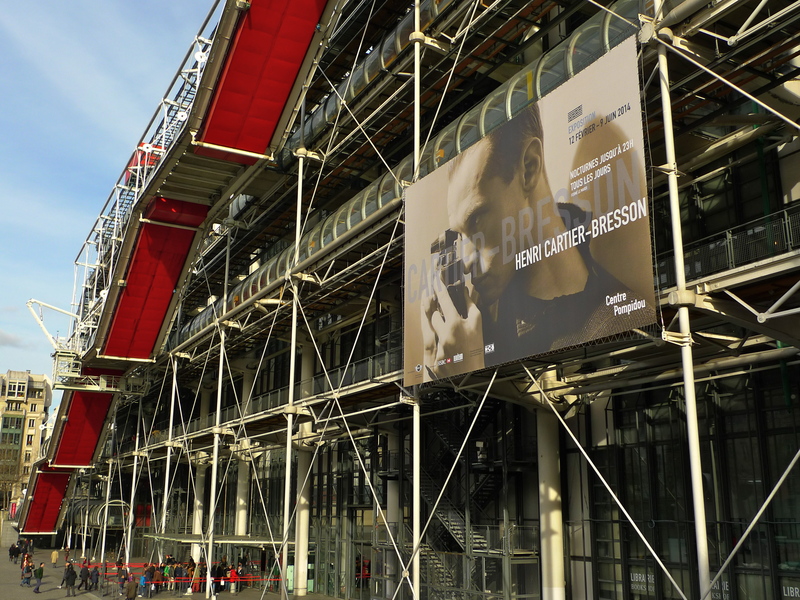 And now we are blessed with yet another photographic exhibition in Paris, this time just a stone’s throw from the Hôtel de Ville at the post-modern Centre Pompidou. 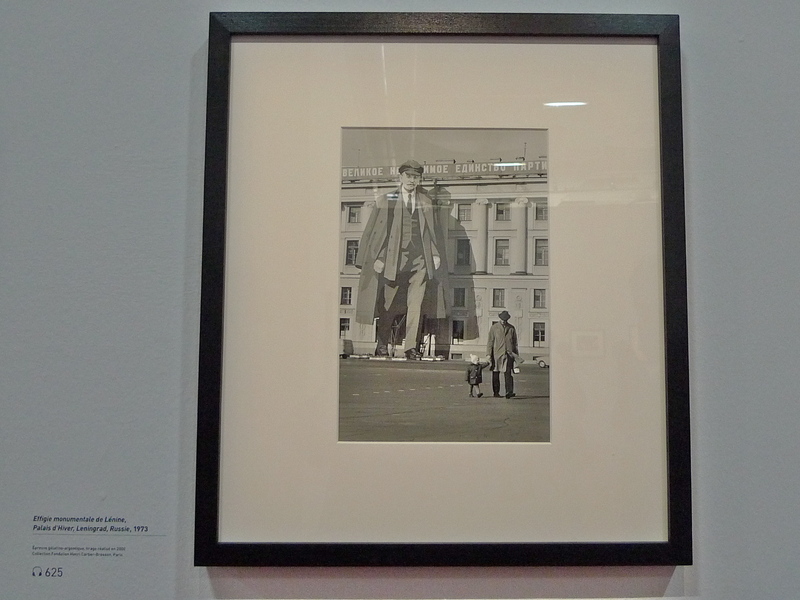 Through more than five hundred photographs, drawings, paintings, films and documents, the exhibition is a completely new retrospective look at the work of Henri Cartier-Bresson, the first in Europe since his death ten years ago. Simply called, “Henri Cartier-Bresson”, the exhibition, organised with the support of the Henri Cartier-Bresson Foundation, opened on 12th February and it runs until 9th June although, judging by the number of people who were there when I went earlier this week, I wouldn’t be at all surprised if it isn’t extended. 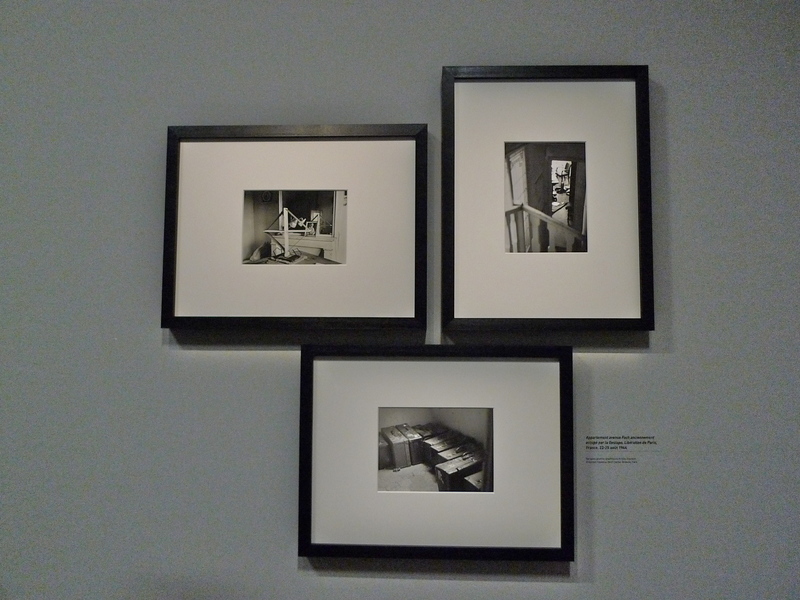 This retrospective illustrates the depth and variety of Cartier-Bresson’s work and his wide-ranging career as a photographer – one that covered Surrealism, the Spanish Civil War, the Second World War, decolonisation and the Cold War. 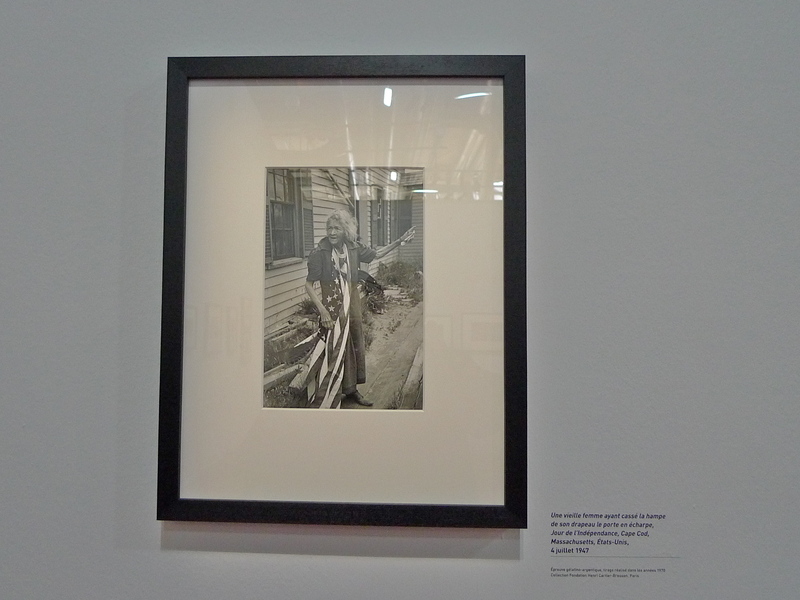 The exhibition features his iconic pictures but also puts a spotlight on lesser-known images. It reassesses a number of little-known photo reportage works, brings to light collections of paintings and drawings and focuses on Cartier-Bresson’s forays into the world of film. 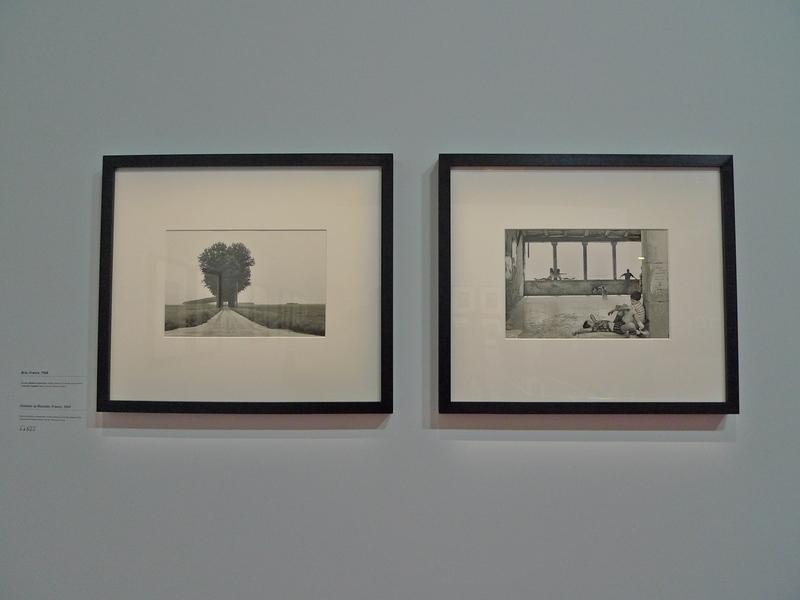 Both chronological and thematic, the exhibition is structured around three main viewpoints: the period between 1926 and 1935, marked by Cartier-Bresson’s contact with the Surrealists, his early work as a photographer and his travels all over the world; a second section devoted to his political commitment when he returned from the US in 1936 until he set off for New York again in 1946, and a third sequence opening with the creation of Magnum Photos in 1947 and finishing with the early 1970s when he stopped doing photo reportage. 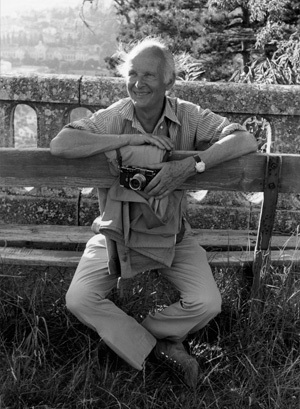 Despite moving away from photography Cartier-Bresson’s international renown continued to grow and in France, he embodied, almost alone, the institutional recognition of photography. He spent a great deal of time supervising the organisation of his archives, sales of his prints and the production of books and exhibitions. Even though he had officially stopped being a photographer, he still kept his Leica within reach and occasionally produced more contemplative images. 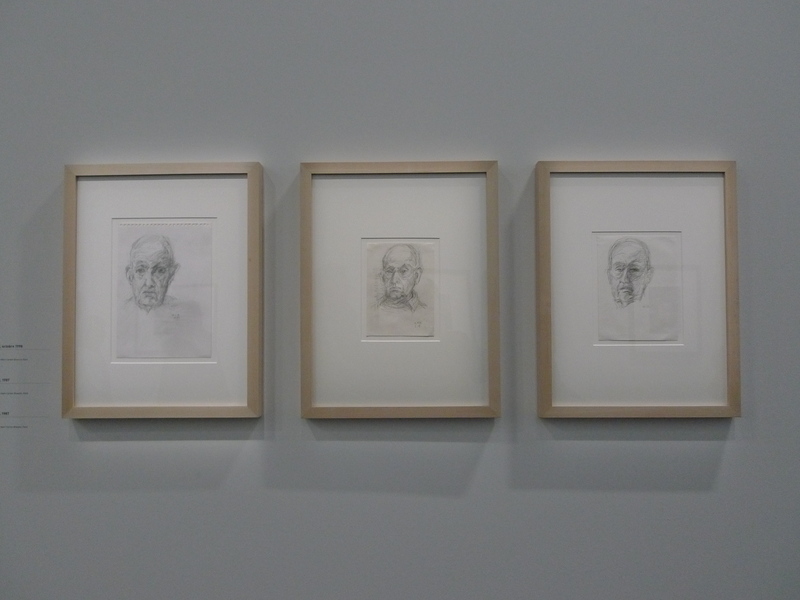 But above all, he frequently visited museums and exhibitions and spent most of his time drawing. 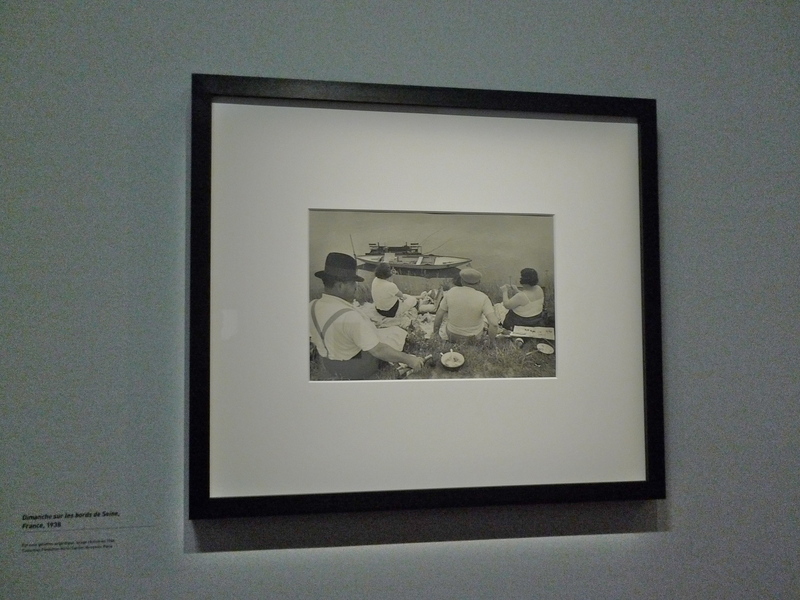 I’ve never considered myself to be a photographer but, as well as recording the sounds of people inside the gallery looking at the exhibits, I did take some pictures at the exhibition and they include some of my Cartier-Bresson favourites. Unfortunately, my absolute favourite and perhaps Cartier-Bresson’s best known image, “Behind the Gare Saint-Lazare” was, rather like the Mona Lisa in the Louvre, submerged in a constant sea of people so although I saw it and pondered it for some time, I wasn’t able to quite capture it for this blog piece. Here though, are some of the other images I captured. 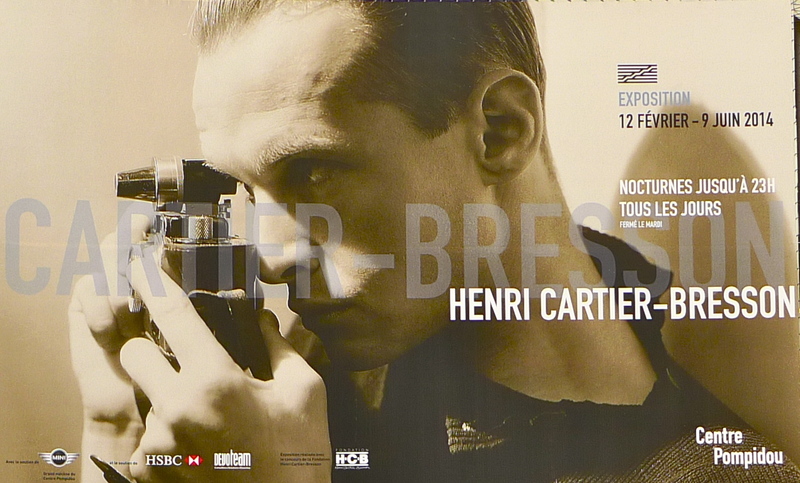 This retrospective illustrates just why Henri Cartier-Bresson became known as “the eye of the century”, one of the great witnesses of our history and why he became, and remains, such a dominating figure in the world of photography. Open from 11.00 to 23.00 every day except Tuesday.